We often talk about the importance of speaking Italian, at least a little bit, when visiting Italy. But why is it so crucial to emphasize this aspect? One of the main reasons is of a practical nature. It will help you to manage in everyday life, given that most Italians do not speak English or a another language! Don’t you believe it? 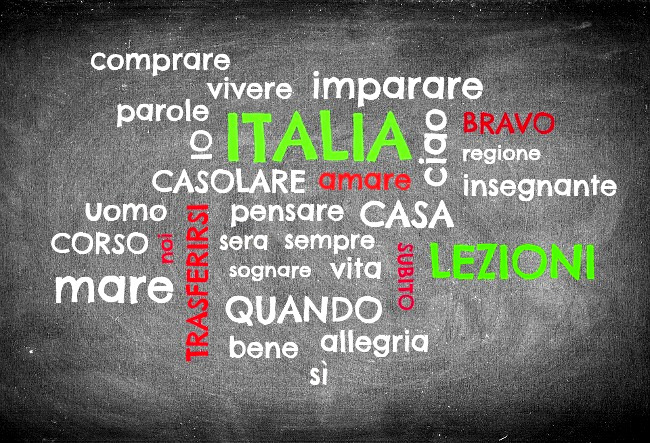 According to a recent study conducted by Eurostat, only 16% of Italians speak a second language. But we already know that many of you, being lovers of Italy, have already completed some Italian courses or have visited Italy so many times that you probably have a certain knowledge of the language. Today we want to give you a few simple and effective pieces of advice, to avoid the most common errors and to make you feel a little more Italian. In Italy there are a few ‘sacred’ words that you can’t get wrong. Some of these have been borrowed by other languages, but are not used correctly. And this is certainly the case with the word “panini”. If you want to eat a single sandwich in a café, you should not order a “panini” but a “panino” as the former form is actually the plural form of the noun, and the latter is the singular form. It’s the same story when ordering a typical Italian coffee. Don’t ask for an “expresso” but an “espresso”. In this case, the barista (barman) will still understand you, but he will also realize that you don’t speak Italian very well. Here is a final example, but maybe the most important one! Do you want to thank someone who has done you a favour or been kind to you? Please, don’t say “grazi” (gra-tsee), but “grazie” (gra-tsee-eh). #2 Per favore, don’t speak Spanish! Many confuse Italian with Spanish. Nothing could be more wrong: the two languages are obviously very different. Because of this, don’t order or ask for something beginning with “por favor”! It’s much better to say “per favore” or “per piacere” as a good alternative. Moreover, don’t wish someone a “good evening” by saying “buena sera”. The right way to say it is “buona sera”. In Italian, words containing double consonants are very common and it’s very important to pronounce both; not just from a phonetic point of view, but above all for a semantic reason. A couple of examples? Not pronouncing the double consonant can lead to real mistakes, don’t you think so? Pay attention to the words that have one meaning in your language, but another in Italian. A few examples? Especially if you speak English, pay attention to how you use the word “camera”: in Italy it means “bedroom”! The same goes for “ocean”. If you say “oceano” translating literally from “ocean” it will sounds very odd as the ‘boot-shaped’ country does not have oceans actually but seas more precisely. That’s why it is far better to say “mare” (sea). And what about “confetti”? In Italy, if you use this word you are referring to sugared almonds, the quintessence of Italian weddings. But you also need to be careful with languages that are very similar to Italian, like French. One of the most important examples of all? “costume”, which means “suit for men” in French, but “costume” means “swimsuit” in Italian. We have seen that using the wrong word or expression can lead to embarrassing situations. This can happen also when you introduce yourself in Italian and both people shake hands by saying “piacere!”, which means “it’s a pleasure to meet you”. But please, do not say “mi piace”, as sometimes happens…translated, this means “I like it”. It would be funny. Have you ever made any of these errors? Do you have others to add to the list? Leave your comment below; we would love to hear about your experience! im enjoying this site…i thank you so much and very happy to receive this email.. Thank you so much for your message… and good luck with your dual passport.